Rail travel between Glasgow and Dumfries could be disrupted for two weeks after a crash between two trains during engineering work at the weekend. The track was damaged at Logan, just east of Cumnock in Ayrshire, when the trains carrying ballast collided and wagons were derailed on Saturday. Scotrail said a replacement bus service would be running between Dumfries and Kilmarnock. 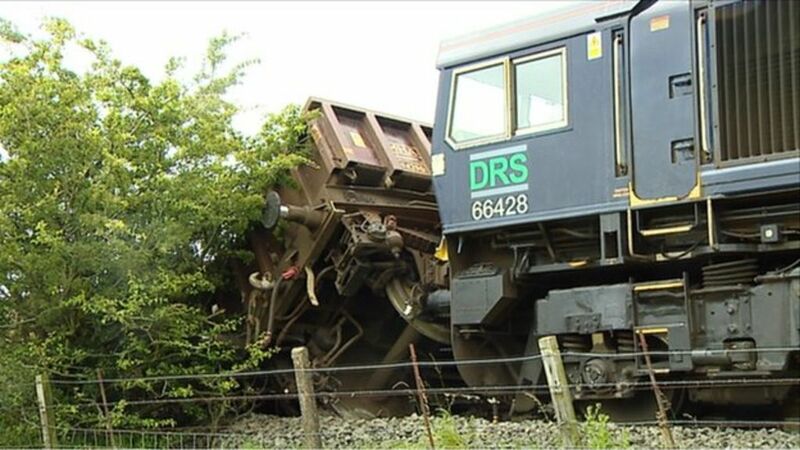 Network Rail said it could take 10 days to move the derailed wagons. It will also take about three days to repair the damaged track after the wagons are removed. Rail travel between Glasgow and Dumfries could be disrupted for two weeks after a crash between two trains during engineering work at the weekend.